Clear electrical 3M tape seals boat cowls/hatches and radio boxes from water. NOTE for Orders shipping outside the USA: LIMIT 2 per order for all US Postal Service Priority Mail International orders. 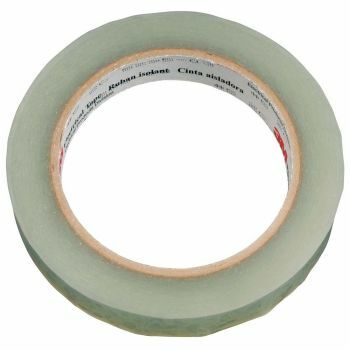 If we can not fit all the rolls of tape due to the size of the other items in your order, we will include what will fit and refund the cost of what will not. If you need more than 2 rolls please select Expressmail shipping and we can fit as many as you like.